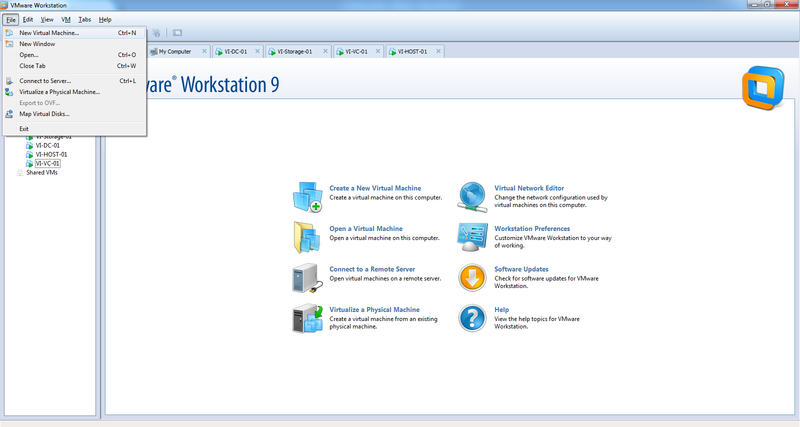 To create home lab, we are using VMware Workstation as Hypervisor to fulfill the requirement of multiple physical servers and other devices. Vmware workstation is Type 2 hypervisor which enable users to setup virtual machines on single operating system. You can create as many as Virtual machines(also depends on local system resources). On top of this, build your vSphere based environment. 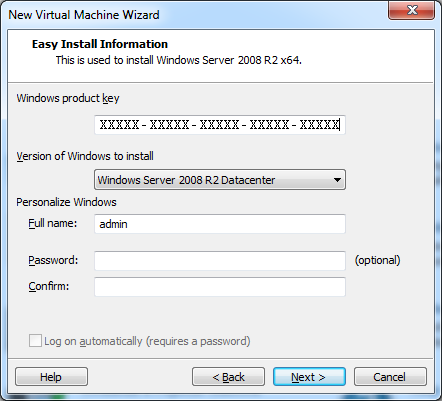 Let's take a quick insight step by step procedure to deploy VMs. - Go to File Menu and Click on "New Virtual Machine". 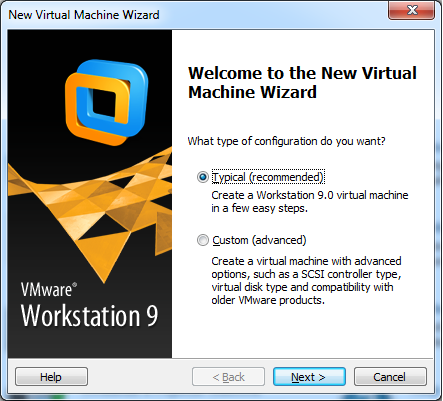 It will open New Virtual Machine Wizard. - Choose the type of VM (Typical or Custom) you want to create. Click Next. In below example, we have selected Typical. - Provide the Installation Disk Path, and Click Next to proceed. - Enter Windows Product Key and required information, and Click Next. 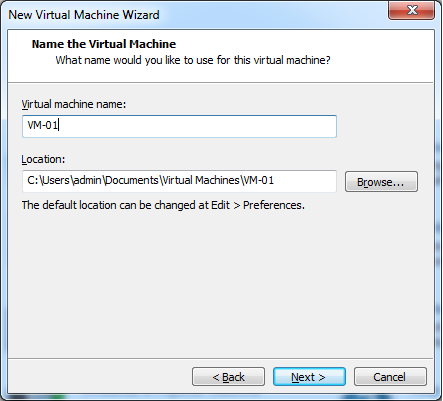 - Give Virtual Machine Name and Location to store. Click Next. 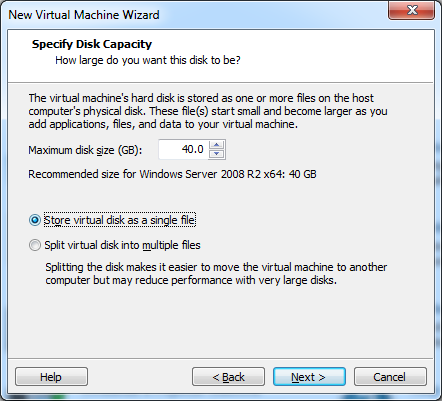 - Specify Disk Capacity and Select Store Virtual Disk as Single File. Click Next. 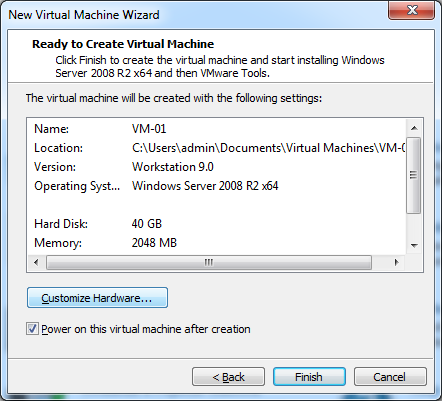 - Review the settings and Select Power on this virtual machine after creation, and Click Finish. 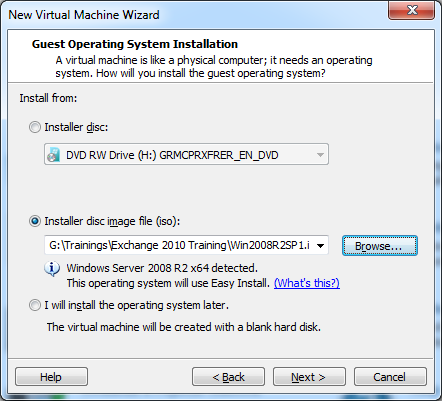 - Now virtual machine will get powered on and it will start installation of Operating system as shown in below image. Thanks for vising here and giving your time to read out this article. Please share if you liked this post.